Here’s your starter to your offroad season, the century race you’ve been waiting for! In celebration of the first Bicycle and Motorcycle Show in South East Asia, “Bike Asia 2008“, you get your chance to race SOLO or in a TEAM RELAY against an international field of top enduro riders. Leading the pack is Endurance Solo Specialist Tinker Juarez, reigning US 24hr Champion, 2-time Olympian and a Mountainbiker Hall of Famer. 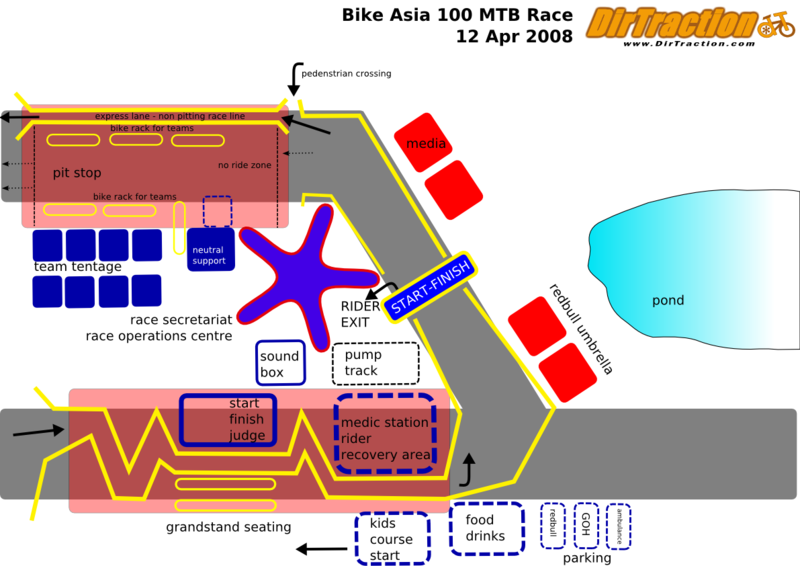 Regional top riders like Tawatchai Masae from Thailand (the reigning SEA Games Champion) and Surban Nino from the Philippines (runner-up for SEA Games 2007) will be renewng their battle in our very own playground with national teams from Indonesia, Malaysia and Singapore giving them a run for their money! Furthermore, you get to race on yet another brand new section of the Tampines Mountain Bike Park, so nobody again gets to say the Tampines XC trail is flat! Located north of the Tampines Ave 7 and Tampines Ave 9 T-junction, opposite Sun Plaza park. The nearest expressway access is via TPE (Tampines Expressway). Turn off @ Pasir Ris Drive, turn into Tampines Ave 12, turn right at Tampines Ave 9 T-junction. What is the programme for the day? Which category can I join? Any category with less than 5 SOLO / TEAM participants will either not start or will be combined with other categories at the organiser’s discretion. 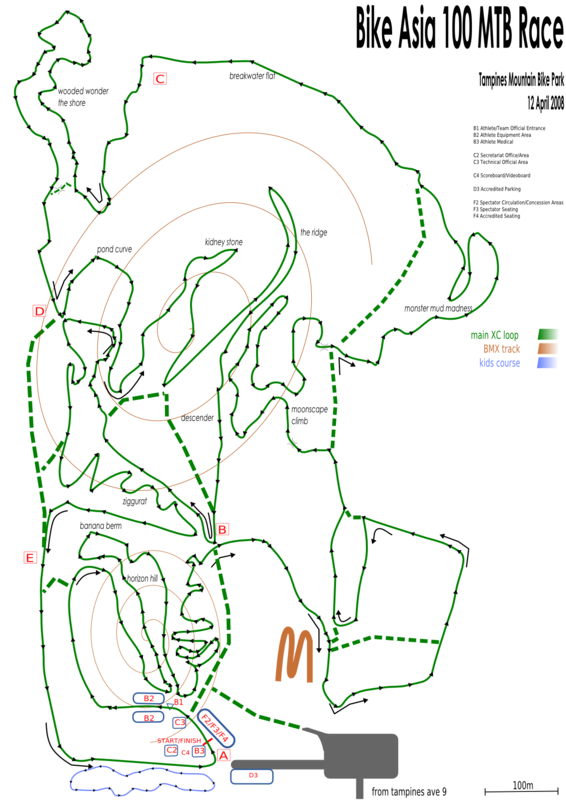 What is the RACE COURSE like? What RULES AND REGULATIONS must I follow? Lots of cash prizes (SGD 10000 SGD in all!) and goodies to be won if you are aiming for a podium finish. Competitors for SOLO / TEAM categories must complete the full 100km within race limits to receive the cash prize. Singlespeed Alert : A special prize awaits the first solo rider to cross the finish line on a singlespeed. All finishers will be crowned with a finisher medal, and the first 90+ SOLO riders to cross the finish line will receive a limited edition “I Survived 100 km of WheelTorture” T-shirt (note : only SOLO riders who finish the course within the designated time are entitled)! All participants will also get a goody bag which includes product offerings, a cool event t-shirt and a free entry ticket to Bikeasia 2008 expo, the first international exhibition on bicycle, motorcycle, accessories and components in Southeast Asia! 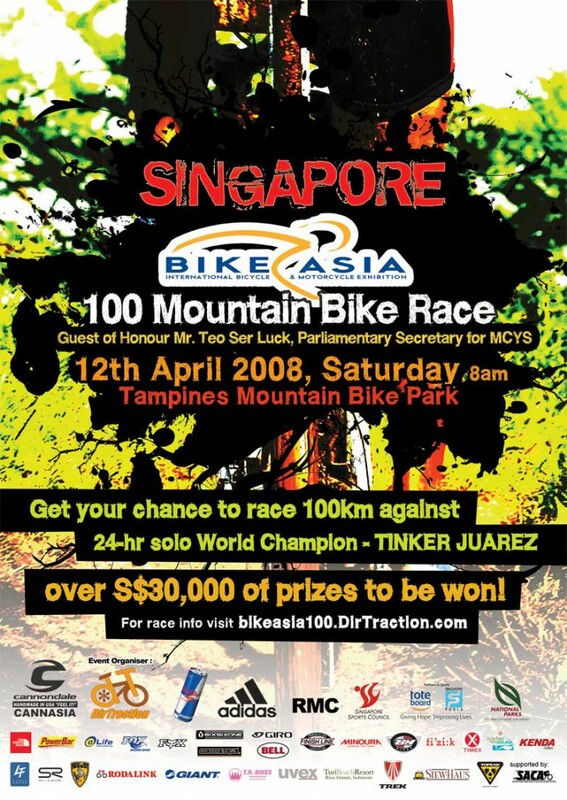 And of course you take home with you the satisfaction of having participated in Singapore’s first 100 km off-road mountain bike race! More importantly, how many of us get to own bragging rights for having raced with TINKER JUAREZ???? That alone is worth taking on the challenge against the world’s elite riders!!! * resort packages from Turi Beach Resort (Batam) to just chill out and go riding! so do click the sponsors link for more information on the kind offerings of our generous sponsors. When must I register by? After this date, DirTraction will not be accepting any online or offline registration, except for race day registration. We will NOT be entertaining race day registration for DUO and QUAD events. Race day registration for SOLO event will still be available, with an additional admin fee of S$20 chargeable on top of the normal race fee. So, do remember to register early! If DirTraction receives less than 5 SOLO/TEAM participants for any category, DirTraction will get in touch with the affected participants regarding the re-assignment of categories for the affected participants. we’ve shortlisted some cheap lodging options available near the race course. For those of you who have requested for bike rental, unfortunately Dirtraction is unable to facilitate bike rental services for participants. However, we do recommend the following shop for bike rental. 3 How to get there? 4 What is the programme for the day? 5 Which category can I join? 6 What is the RACE COURSE like? 7 What RULES AND REGULATIONS must I follow? 8 What will I get? 10 How do I register? 11 When must I register by? 12 What are the registration fees?